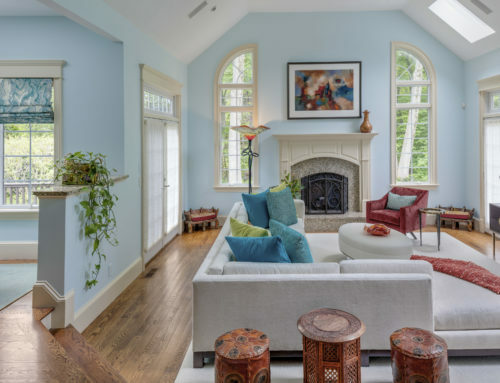 The first questions most new clients ask me are, “how do I make the most of my family room?” and “how do I get the most seating, see the T.V., coordinate colors, and make the room comfortable for my family? I hear your questions. Here are the answers. Make a function list for your family room. 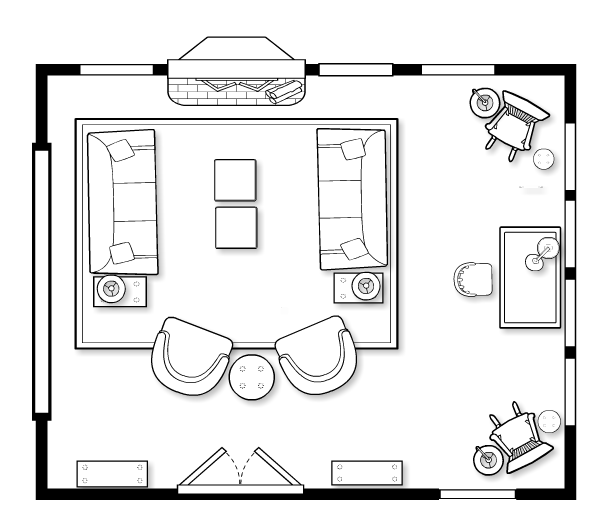 Which activities do you want to do in this room? How many people do you typically entertain? How durable does the furniture need to be? Do you have a place for your children’s toys, your adult bar, pets, the big game, or card parties? In this family room in Winchester, MA, the black and white contemporary shag rug anchors the color scheme. A combination of the neutrals, the gray walls, the white sectional, and the black and white rug set the background. 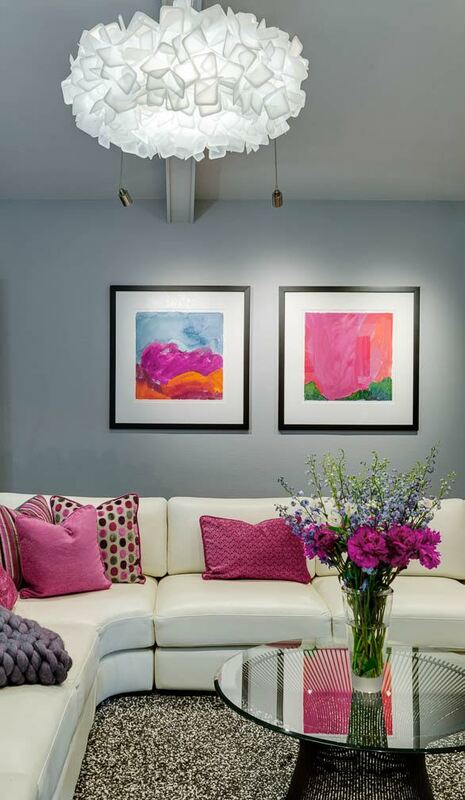 These basics are electrified by pops of fuchsia on sumptuous pillows and contemporary artwork. To discover your current taste, find 10 photos of family rooms you like. This fun treasure hunt clarifies your favorite furniture styles and colors, right now in 2017. Evaluate the architecture and allow for seating, traffic pathways, focal points, and a layered lighting plan. Using a computer-aided design program, you can plan for sufficient seating, a layered lighting plan, traffic pathways, and focal points. Then we will know the sizes of the pieces we’ll need and where to put them. The rug should be the color anchor for your family room. The rug is also the item that is most limited in terms of color choice. Make your life easier by choosing this first and then matching the upholstery, window treatments, and the paint color to it. 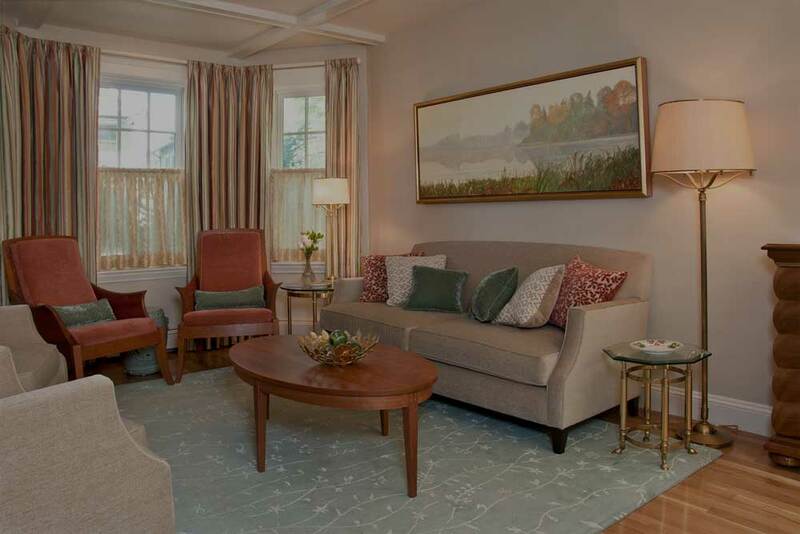 For a luxurious look, use a rug large enough for all the furniture to sit on. A large rug delineates the seating area and visually expands the space. No room is complete without end tables, accessories, and art. Art adds color, intimacy, and personality to an environment. Once all the furniture is in place and the draperies are installed, the final step is choosing art. In Cambridge, MA, this Jane Ritchie painting creates a mood of peaceful serenity. Water scenes calm the senses. 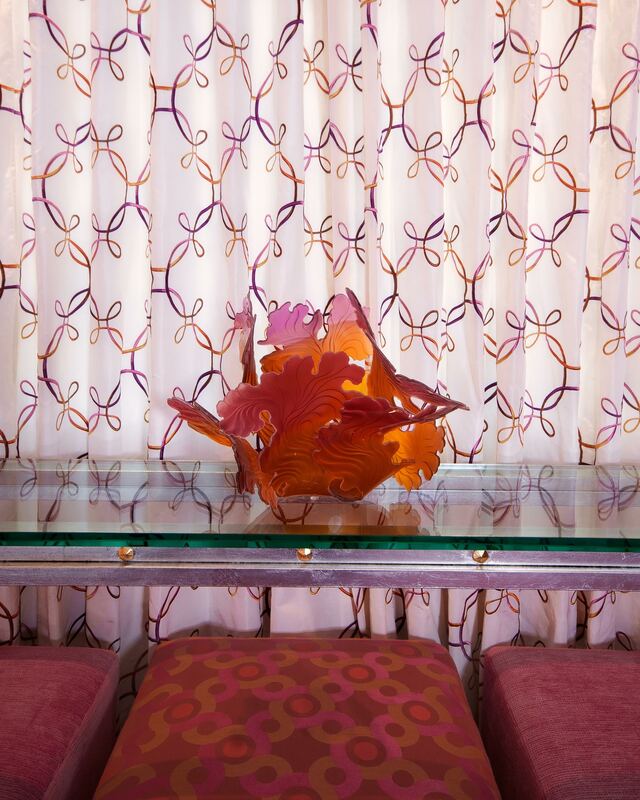 In Belmont, MA, fine art accessories capture the soul of a room. 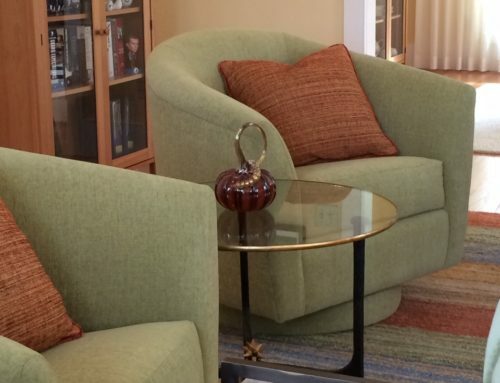 For help putting together your best family room, contact Linda Stimson.